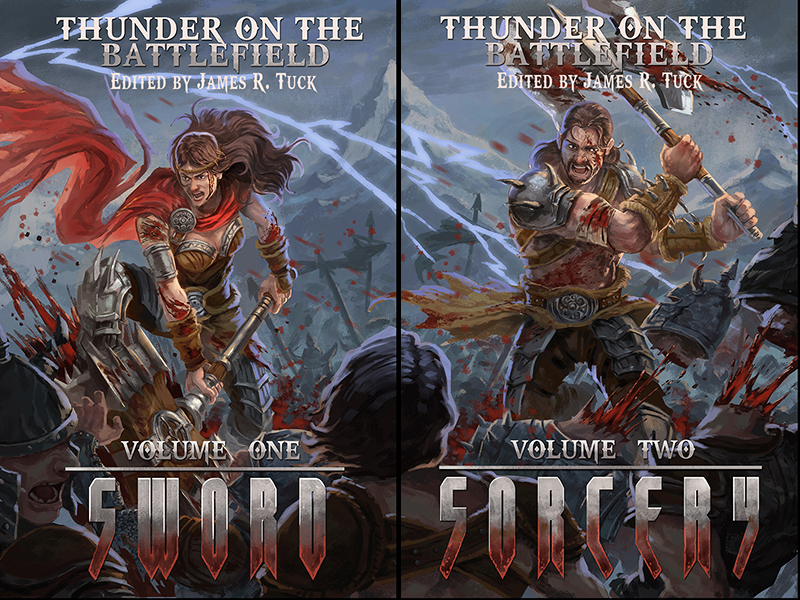 Here is the official announcement of the two-volume anthology Thunder on the Battlefield in which “Mark of the Warrior” will feature. As outlined, the e-books will be available as of Thursday the 8th of August 2013. The print editions should be ready by mid August. I will keep you updated. This entry was posted on Monday, August 5th, 2013 at 5:21 pm	and tagged with Amazon Kindle, Anthology, Cover Art, E-books, Fantasy, Seventh Star Press, Sword & Sorcery and posted in Story News, Thunder on the Battlefield. You can follow any responses to this entry through the RSS 2.0 feed.